ah, axel rose. GnR. sweet child o' mine. oh my. the memories that song brings. my awful hair, guess? jeans with zippers, esprit, swatch watches, locked in my room listening to KKRD hogging the phone and feeling like life was just beginning. 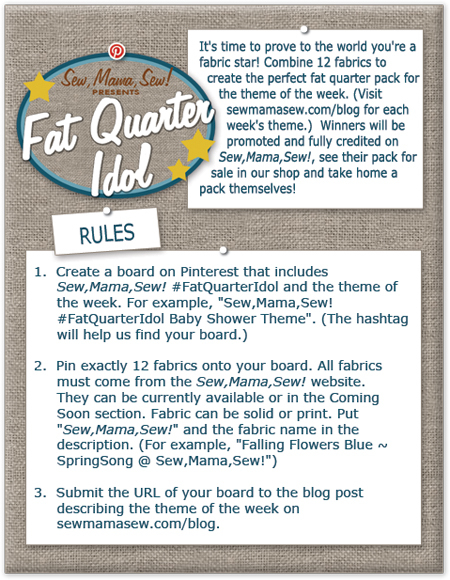 you may have already heard - but sewmamasew is sponsoring a great contest called fat quarter idol. simple to enter. 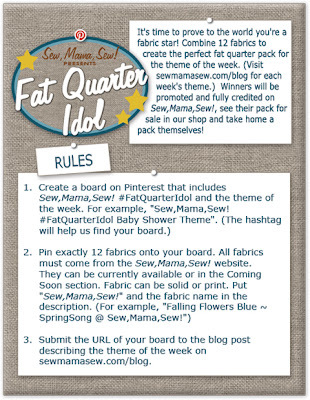 just choose 12 fabrics from sewmamasew's shop, and create a board on pinterest to pin them to. i couldn't fit all of them in a screen grab, so click on the link to go to the actual board! 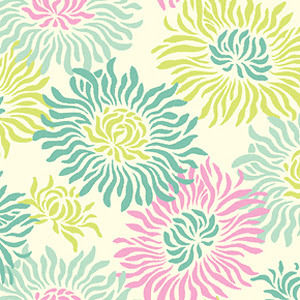 i started with one of my all favorite fabrics, graphic mums from heather bailey's freshcut line. 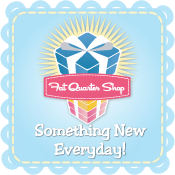 they brought this one back, so if you missed it the first time around, now's your chance to grab some! 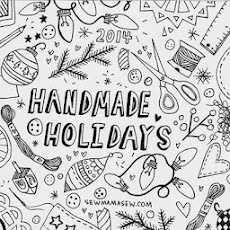 true story, the first "designer" fabric i bought was a homemade charm pack off ebay. i bought it just for the mum print. anyways, i love all the prints in chose, they are timeless but fun, soft soothing but not too babyish. i stuck with the aquas and yellows and added just a pop of pink. 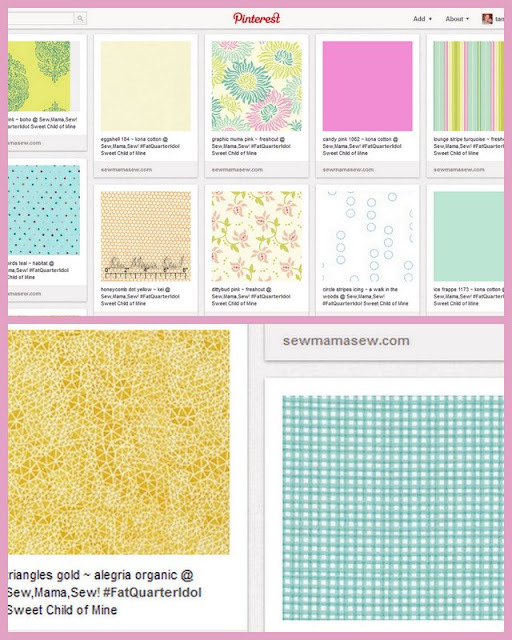 i wish i could make a swoon quilt using these for emma's room! i'd use the stripe for the binding and the eggshell for the background. so pretty! anyone know how i can make a tiled mosaic of my pins? i haven't been able to figure it out. 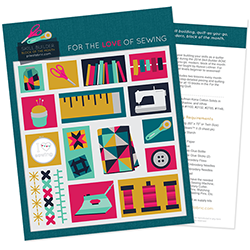 and you still have time to enter! here's the rules, and good luck!